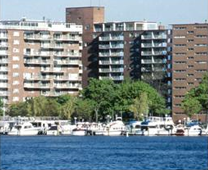 100 Memorial is a luxury apartment complex located right on the Charles River. 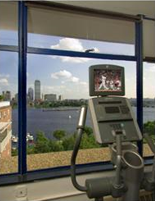 This incredible community offers breathtaking views of the river for many apartments and views of the Boston skyline. It is conveniently located near Kendall Square and is within walking distance of all the finest places in Cambridge. • Large windows which allow residents to enjoy the breathtaking views. • Individually controlled heating with heating included in the rent. • Some apartments have a fireplace. Amenities vary by apartment and based on the last time it was updated. • Club room with complete kitchen area and terrace on the rooftop. • Exquisitely landscaped courtyard area. • Online payment options and maintenance requests. 100 Memorial offers apartments ranging from studio size to three bedroom masterpieces. Every apartment is designed for convenience and luxury. 100 Memorial is also a cat-friendly community. This community is conveniently located near public transportation and is within walking distance of many restaurants, shops, and entertainment areas. Residents can quickly find themselves at MIT, Kendall Square, and Charles Park when they leave the property. 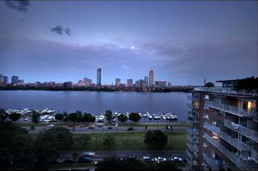 100 Memorial is the perfect choice for an apartment home for those who love luxury, convenience, and a cool breeze when they sit one their balcony and enjoy the breathtaking views that Cambridge and Boston has to offer.